400 Series lower packing needle valves provide positive shutoff for applications having working pressures up to 5000 psig. 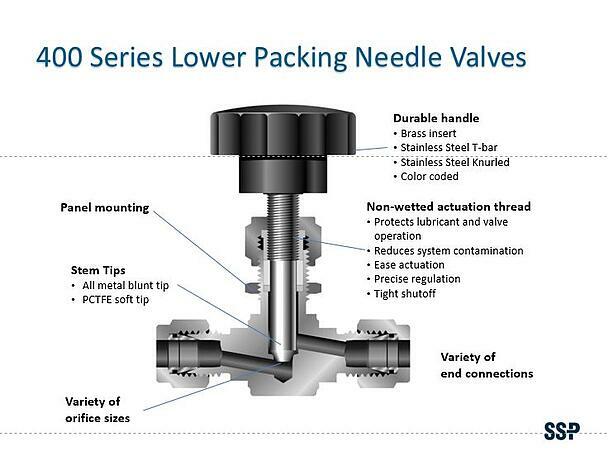 Lower packing needle valves feature packing below the stem threads to maintain stem lubrication and to protect stem threads from corrosive or erosive media. With orifice sizes up to 0.562 in. 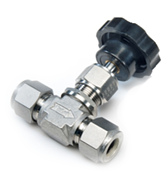 and end connections up to 1 in., 400 Series needle valves offer higher flow than other instrumentation needle valves. End Connection Sizes: 1/8 in. to 1 in.